The redevelopment proposals for Clitheroe market have changed. Plans for a new hotel have been axed from ongoing proposals to redevelop Clitheroe market. Coun. 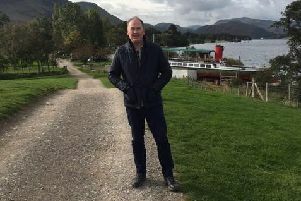 Ken Hind, the leader of Ribble Valley Borough Council, said the decision had been made after local residents made their opposition to that part of the scheme known through a public consultation exercise. "We listened to the public in a wide-ranging consultation that took views from a cross-section of people, including residents, business leaders and market traders," said Coun.Hind. “The consultation revealed support for the redevelopment of Clitheroe town centre with a modern market at its heart, but in response to public opinion the scheme will now not include a hotel." He added: "The aim of the redevelopment is to bring a new lease of life to the market and surrounding area, and the potential for attracting top new retailers and significant economic development to Clitheroe town centre." The council’s policy and finance committee has set up a steering group led by Coun. Hind to take the proposed £9million redevelopment of Clitheroe Market forward. It is hoped the scheme will leave a legacy for future generations and boost the local economy by creating a modern market offering improved shopping facilities and a bustling night-time economy. Coun. Hind added: “We are a positive can-do council working in the interests of the whole community and our policy and finance committee has decided to set up a steering group to take the redevelopment forward. Features of the new scheme may include a link to the market from Castle Street, a market hall, outdoor market, approximately 45,000 square feet of shops, restaurants, bars and leisure facilities, a public open space or community hub and a car park. It is hoped the new scheme will be unveiled by Christmas 2017, with a planning application submitted by the New Year and construction starting by spring 2018.